Raj Bhatia is the founder of The Bhatia Group, a leading wealth management team within the Private Banking & Investment Group at Merrill Lynch. For more than thirty years, Raj has helped a select group of high net worth clients acquire, grow and preserve assets, helping them pass their wealth to successive generations, and create lasting legacies. He works with a select number of corporate executives, company founders, individuals and families, family offices, endowments, foundations and institutional clients. He is an accredited International Financial Advisor. Raj has particular depth of experience in investment strategy, asset allocation and portfolio management. Forbes magazine has recognized him in its ranking of "America’s Top 250 Wealth Advisors" in 2018. Raj was named to The Financial Times "Top 400 Financial Advisors" in 2017 for the 4th consecutive year. Raj earned his B.S. in Electrical Engineering from the Indian Institute of Technology, New Delhi and his M.B.A. from the Indian Institute of Management, Ahmedabad. Raj holds the Certified Investment Management Analyst® (CIMA®) designation sponsored by the Investments & Wealth Institute™ (The Institute) at the Wharton School. He is also a member of the Investments & Wealth Institute™. Raj is a charter member of the Indus Entrepreneurs Association (T.I.E), a Silicon Valley based organization that mentors entrepreneurs worldwide. In Chicago, Raj is a Trustee and a board member of The Adler Planetarium and a member of the Adler Investment Committee. He also is on the board of The Chicago Scholars. Raj and his wife Seema are trustees of the American India Foundation, an organization dedicated to catalyzing social and economic change in India. *Source: The Financial Times Top 400 Financial Advisors (FT 400) is an independent listing produced by the Financial Times (March, 2017). For more information about the selection criteria, go to FT 400 Top Financial Advisors page . Shen Li is a Vice President and Private Wealth Relationship Manager with the Bhatia Group at Merrill Lynch. As a member of the Private Banking & Investment Group, Shen applies his quantitative and analytical skills to advance the financial goals of ultra high net worth individuals and institutions. His responsibilities encompass asset allocation, investment research and trading. Specifically, Shen develops equity, fixed income and multi asset discretionary investment strategies; analyzes investment research relative to asset allocation; performs quantitative analysis on concentrated stock positions, equity derivatives and structured products; evaluates mutual funds, ETFs, hedge funds and private equity funds; and implements equity, fund and option trades. Shen began his financial services career in 2008 at Morningstar, a Chicago based investment research and investment management firm where he was an Investment Analyst. In 2011 he joined Merrill Lynch. Shen earned his M.B.A. from the University of Chicago Booth School of Business where he concentrated in Finance and Entrepreneurship and his B.A. in Economics and Mathematics from Oberlin College. He holds the Chartered Financial Analyst® (CFA®) designation from the CFA Institute and is a member of the CFA Society of Chicago. Shen is a board member of the Young Overseas Chinese Association, a nonprofit organization that connects young Chinese professionals in the Chicago area. With over 25 years of institutional portfolio management and investment experience, Peter joined Merrill Lynch in 2013 and The Bhatia Group in 2015. Peter leverages his vast experience in portfolio analytics and manager research to expand the Group’s coverage of investment strategies across a wide spectrum of traditional and alternative asset classes. Prior to joining Merrill Lynch, Peter was the Assistant Director of Research at Marco Consulting in Chicago, the premier consulting firm to Taft-Hartley retirement plans. At Marco, Peter managed a seasoned team of investment manager analysts in the equity, fixed income and alternatives asset classes. He was responsible for the creation of Marco’s investment strategy presentations and worked closely with the firm’s consultants to drive investment strategy. Peter was also the practice leader for the firm’s Defined Contribution services. Prior to Marco, Peter was the Director of Research at Blue Prairie Group in Chicago, one of the leading Defined Contribution consulting firms in the Midwest. Peter began his career in 1990 as an interest derivatives analyst at the Northern Trust Company in Chicago and later managed active fixed income portfolios for institutions and family offices specializing in core and enhanced cash strategies. He was promoted to Co-Director of Northern Trust’s Cash Management division. In addition to his professional responsibilities Peter serves on the Board of Directors of North Side Housing and Supportive Services, an agency which helps homeless men rebuild their lives in the north side of Chicago. Peter holds the Chartered Financial Analyst® designation and also holds an M.B.A in Finance from the University of Wisconsin-Madison. He graduated with a B.S. in Business Administration with a concentration in Finance and Economics from Marquette University. Marcia Schmitt is a Senior Private Wealth Associate within the Private Banking & Investment Group at Merrill Lynch. Marcia excels in delivering attentive, caring, and timely service, making her a valued team member to colleagues and clients alike. She prides herself on tracking down solutions, answering questions, delivering services and amplifying client satisfaction. Marcia joined Merrill Lynch in 1999, and has over 30 years of experience in the financial services industry. She resides in Oakbrook, a suburb of Chicago, Illinois, has four grown children and three grandsons. She holds a Bachelor’s degree in Business from Hope College. Peter joined Merrill Lynch as a college intern in 2012, and upon graduation in 2013, transitioned into a full-time role as an Administrative Assistant for the firm’s Office Management Team in Oak Brook, IL. Peter joined the Bhatia Group in 2017 in his current role as Registered Private Wealth Associate. Peter excels in delivering detailed client service, as well as utilizing internal resources at Merrill Lynch to drive operational excellence. Peter graduated from Butler University with a B.A. in Finance and Marketing in 2013. A Chicagoland suburb native, he currently lives in Chicago’s Wicker Park neighborhood. He’s been a volunteer with Tutoring Chicago since 2015, supporting economically disadvantaged students from the Logan Square neighborhood by providing a stable learning environment and individualized attention. Matt is a Registered Private Wealth Associate within the Private Banking & Investment Group at Merrill Lynch. As a member of The Bhatia Group, his responsibilities include maintaining and growing client relationships, performance reporting and portfolio reviews, and assisting the team with investment manager due diligence and alternative investment implementation. Prior to joining The Bhatia Group in 2018, Matt spent 3 years in Los Angeles as an analyst at Merrill within the Private Banking & Investment Group. He earned his B.A. in Economics and Spanish from Denison University. Matt lives in Chicago, and in his free time enjoys tennis, golf, and spending time with family and friends. 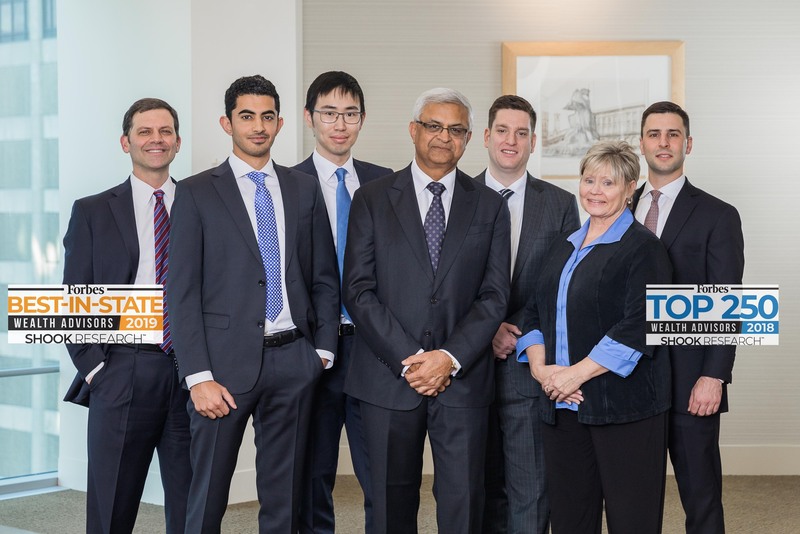 Tej joined Merrill Lynch in 2018. He works closely with Raj Bhatia as an equity analyst, conducting quantitative research on stocks and leveraging our firm’s industry leading equity research team to help Raj manage the team’s discretionary portfolios. His responsibilities include executing trades and assisting with account rebalancing, asset allocation modeling, and tracking portfolio performance. He graduated from Emory University with a bachelor’s degree in Applied Mathematics. The Bhatia Group is a full-service wealth management team in the Private Banking and Investment Group, serving clients throughout the country. We serve clients with investable assets greater than $ 5 million. We combine the attentive, responsive, and professional service of a small group, with access to the intellectual capital, in-depth investment due diligence, top quality research and technology of one of the largest global financial services companies. We draw on our years of experience serving our clients and our financial market acumen, together with the investment insights of Merrill Lynch and access to the banking convenience of Bank of America, to you grow and preserve your wealth during your lifetime and beyond. *Source: Barron's "America's Top 100 Advisors" list, April 17, 2017. Advisors considered for the "America's Top 100 Financial Advisors" list ranking have a minimum of seven years financial services experience and have been employed at their current firm for at least one year. Quantitative and qualitative measures used to determine the Advisor rankings include: client assets, return on assets, client satisfaction/retention, compliance records, and community involvement, among others. Barron's does not receive compensation from Advisors, participating firms and their affiliates, or the media in exchange for rankings. Barron's is a trademark of Dow Jones & Company, Inc. All rights reserved. Our team focuses on providing private wealth services to entrepreneurs, business owners, corporate executives and their families. 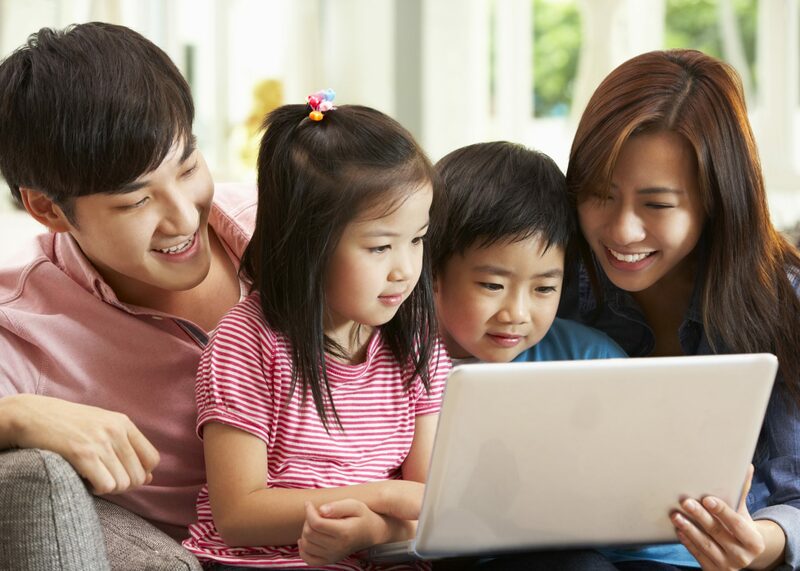 A particular strength is our experience in helping numerous families navigate a path from a concentrated stock or wealth position to a diversified and well managed portfolio that prioritizes financial security. Lending services through Bank of America, N.A. The Bhatia Group offers a broad spectrum of investment management services, and wealth management planning to a limited number of high-net-worth clients, including corporate executives, company founders, individuals and families, and family offices. We strive to provide our clientele with valuable insights by drawing on our collective experience and skills, as well as the deep intellectual property and global resources of the Private Banking and Investment Group of Merrill Lynch. We also offer access to a wide range of banking services through Bank of America, N.A. For more than 30 years, Private Wealth Advisor and Managing Director Raj Bhatia has helped guide individuals and families through the process of acquiring, growing and preserving assets, and passing on wealth. He leads the team in offering clients customized, tax-efficient, managed investment strategies, and serves as a trusted advisor, offering advice and guidance to clients overseeing multi-generational family assets. "We take care to listen intently to every individual, every family. We can then draw upon the deep resources and exceptionally talented people of Merrill Lynch to offer recommendations tailored to each client. We begin our relationship with new clients by conducting a private briefing meeting, in which we listen to your financial needs and goals. We then introduce you to our team, and to the appropriate banking, trust, and philanthropic specialists at Merrill Lynch to help you meet those objectives. 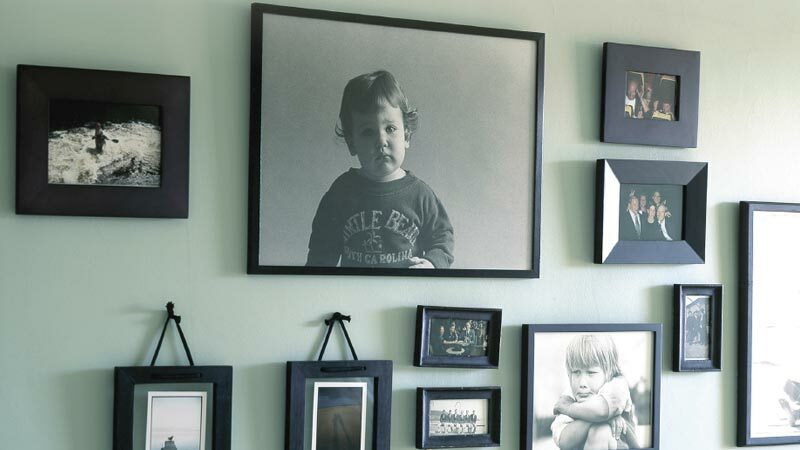 Your goals, your passions, and your vision are the building blocks of a customized wealth strategy that drives the construction of a globally diversified, tax-aware portfolio. We carefully analyze your risk tolerances, your cash flow needs, and the time horizon that could affect your finances. Our services and experience extend beyond traditional investment management. Clients also rely on us for concentrated stock management, trust and philanthropic services, and lending solutions offered by Bank of America, N.A. 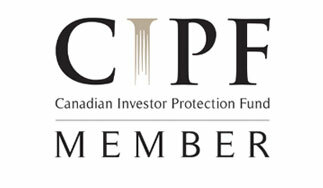 We will meet regularly with you and your family to discuss the financial markets and your portfolios. We will encourage you to share with us anything new in your life. Through these discussions, we continue to learn about your evolving priorities, concerns and desires, helping us to continually improve the services we provide. We work for you. You can leverage our team's experience and our Firm's resources, so that you can focus on pursuing your objectives and fulfilling your mission. We listen. Effective communication requires listening, and we find that being good listeners is repaid by the trust and confidence you place in us. We work hard to be your first call when you seek advice and guidance, or informed opinion. We learn. Lifelong learning is a hallmark of our team. Several of our team members hold several advanced degrees and investment credentials. We constantly seek to improve our understanding of markets and the issues that our clients face. We read, attend conferences and seek the insights of leading professionals to better serve our clients. For each client, we customize our services based upon their personal objectives, as well as their varying attitudes towards risk. We help clients articulate and prioritize specific goals and then advise them on how best to achieve them. 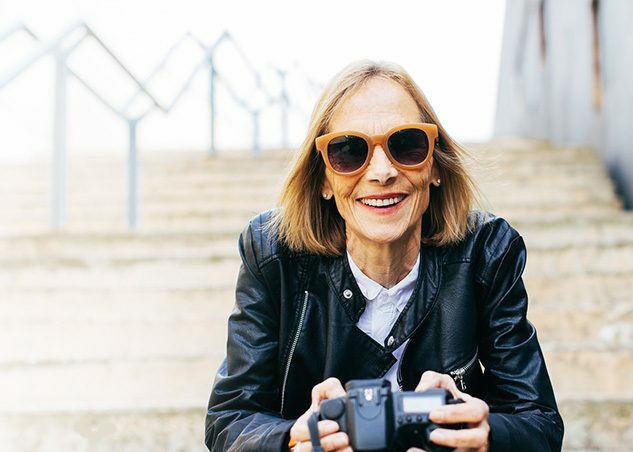 These goals may be to provide for a secure retirement, purchase a vacation property, finance the education of grandchildren, or establish a charitable foundation. Identifying and prioritizing these goals greatly increases the probability of success in achieving them. 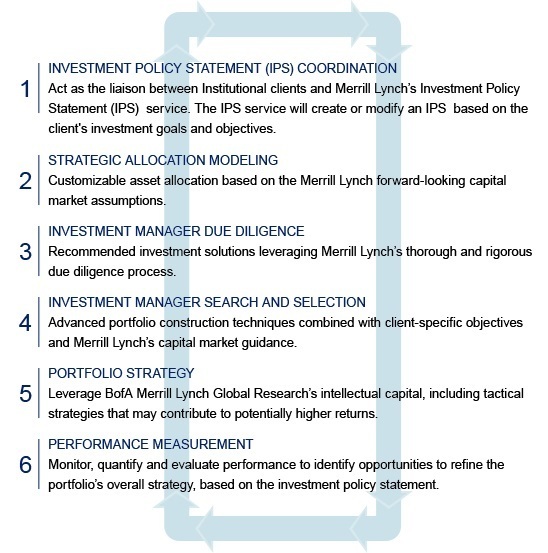 Global Institutional Consulting at Bank of America Merrill Lynch draws upon a powerhouse of sophisticated investment consulting capabilities, resident in a firm rich with global financial solutions and capabilities. Our rigorously trained Global Institutional Consultants subscribe to a philosophy that reaches beyond the investments and is designed to help organizations ultimately redefine success, manage risk and focus on the real goal—the ability to fulfill their mission. 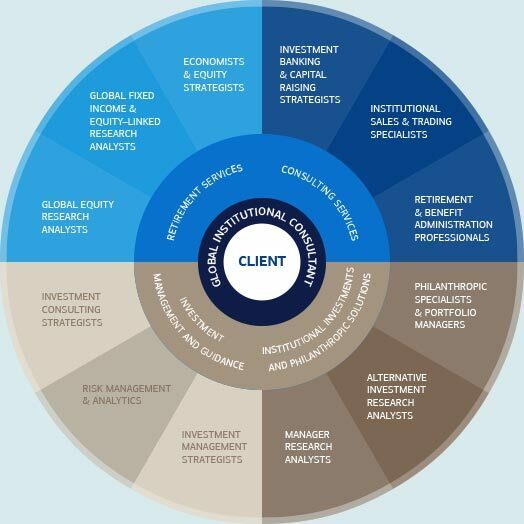 Global Institutional Consulting provides a full suite of investment solutions including portfolio strategies, investment consulting services, retirement solutions and institutional philanthropic management to more than 2,000 clients, ranging from family offices to nonprofit organizations to retirement systems. The Power of the Right Organization Drawing on the global expertise and singular focus, Global Institutional Consulting at the firm dates back 40 years which makes us one of the country's largest and oldest institutional consulting firms. You can count on thoughtful, independent and research-driven advice delivered with your interest at its core. We also leverage Merrill Lynch's Alternative Investments Group, which has one of the largest and longest standing alternative investment capabilities in the industry. With over 100 professionals in several offices around the globe, the group provides clients with sourcing, due diligence, selection, implementation and monitoring. The Power of the Right Consultant Understanding the enduring value of a relationship based on trust, we are dedicated to ing the needs of institutional clients and providing them with guidance to help navigate the complex institutional market while addressing their financial objectives and goals. 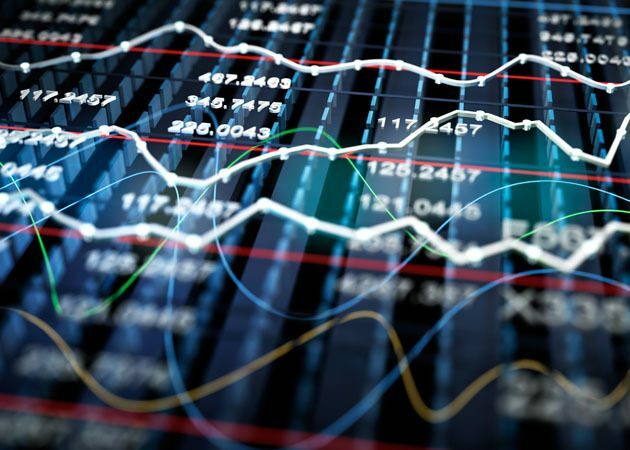 We bring a coordinated team of consulting professionals with deep backgrounds in finance and investments. The Power of the Right Approach Mobilizing all that Bank of America Merrill Lynch can do for you, our institutional consultants offer an innovative, robust, and customized suite of investment solutions and strategies for institutional clients—capitalizing on our global scale to stay abreast of changing market conditions. The result is a dynamic investment portfolio that is timely and timeless—reflective of the daily conditions of the marketplace, yet grounded in sound market fundamentals. We have been leaders in advocating open architecture investment solutions for institutions, solutions that are rooted in deep analysis and the extensive resources of a global firm. 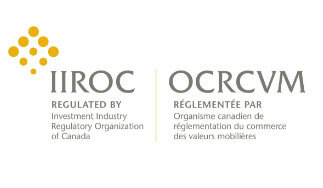 We provide institutional investors with innovative strategies tailored to their distinct financial goals. Investing in an increasingly interconnected world requires deep global research capabilities. Clients require both macroeconomic perspectives, as well as robust investment manager research to implement both short- and long-term strategic goals and tactical portfolio adjustments. The Bhatia Group draws upon the intellectual capital, robust due diligence and world-class research capabilities of BofA Merrill Lynch Global Research*. 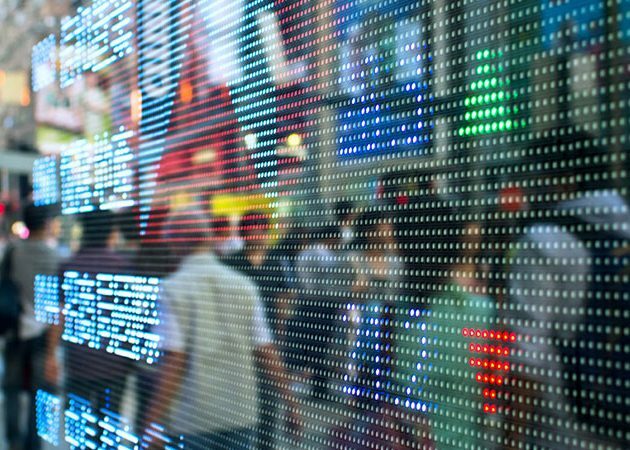 Global Macro Research offers in-depth analysis of critical global issues and provides economic insights for more than 60 economies, addressing economics, currencies, commodities, interest rates, derivatives and equities. Global Institutional Consulting follows a robust and disciplined investment process, allowing Global Institutional Consultants to respond to the changing needs and objectives of institutional clients, providing a higher probability of achieving long-term investment goals. "We are interested, professionally and intellectually, in the theories of portfolio management. An Investment Policy Statement has to be crafted with great care and diligence and should clearly layout the investment guidelines for the institution."